To Europe With Kids: Who is Oswald Von Wolkenstein? The region of South Tirol in northern Italy is so much more like Germany or Austria than Italy, with its tall steepled churches, picture-book chalets, and snow-covered mountains. Local restaurants serve wurst and sauerkraut, and in many of the villages German is the predominant language, not Italian. The town of Kastelruth (Castelrotto in Italian) is one of those charming little villages, symbolized by the tallest (and probably the loudest!) bell tower in the region. The local townspeople enjoy celebrating their folklore and often dress in traditional costume, making it a delightful place to visit. One of Kastelruth's annual traditions takes place on the streets every year in June and is known as the Oswald von Wolkenstein Ride. Who is Oswald von Wolkenstein?? Well, he was a South Tyrolean poet, composer and troubadour in the 14th and 15th century who was admired for his diplomacy and military conquests. 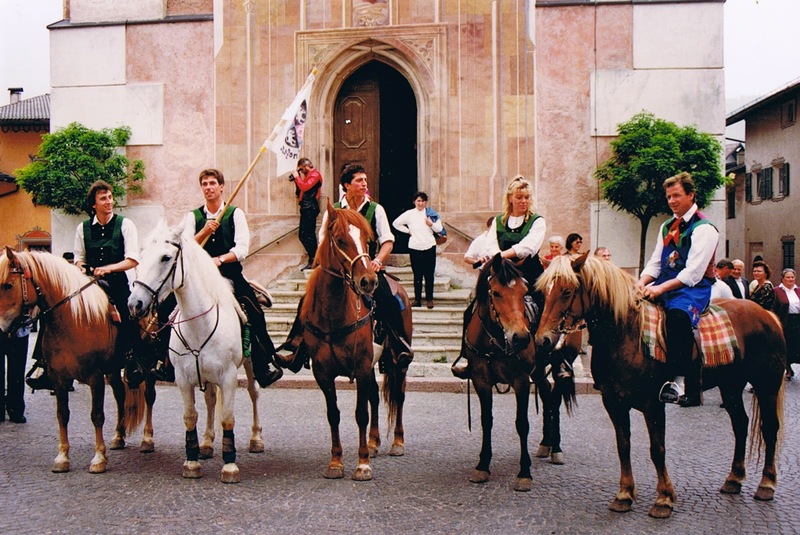 In 1983 a medieval horse show was organized in Kastelruth to honor von Wolkenstein, and the event has increased in popularity ever since. The three day festivities begin on a Friday with a village fair and the usual food, drink, and merriment. On Saturday there is an opening pageant with bands, carriages, horses and knights followed by concerts, medieval markets, knight's games, and fireworks. The riding tournaments, which actually begin on Sunday, consist of 36 equestrian teams competing in events that test medieval horsemanship skills such as spearing rings at full gallop, jumping hurdles, slalom gates, and negotiating a labyrinth. It's a thrilling show to watch and reminds me of the terrific jousting shows in Carcassonne, France. 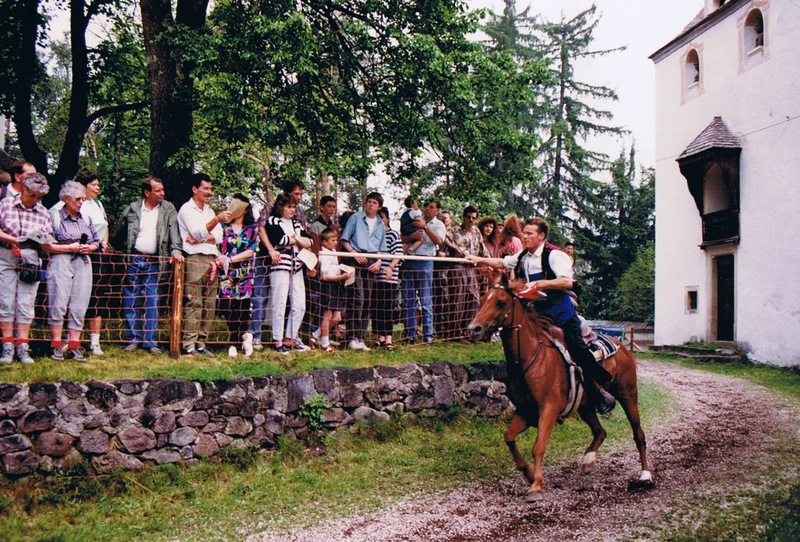 The final tournament and awards ceremony take place at Prösels Castle (Castello di Presule in Italian) below the Schlern mountain nearby, and is followed by more celebrating and medieval festivity. Kastelruth is the ideal home base for exploring the Alps, the Dolomites, and the annual Oswald Von Wolkenstein Ride! Horses and costumes? My kids would love this event. Festivities celebrating a troubadour - I love it! !